Hands-on learning is a priority for our apprenticeship instructors. The Carpentry 4 class recently took advantage of one of these hands-on opportunities thanks to the generous loan of equipment by Warfel Construction Company. 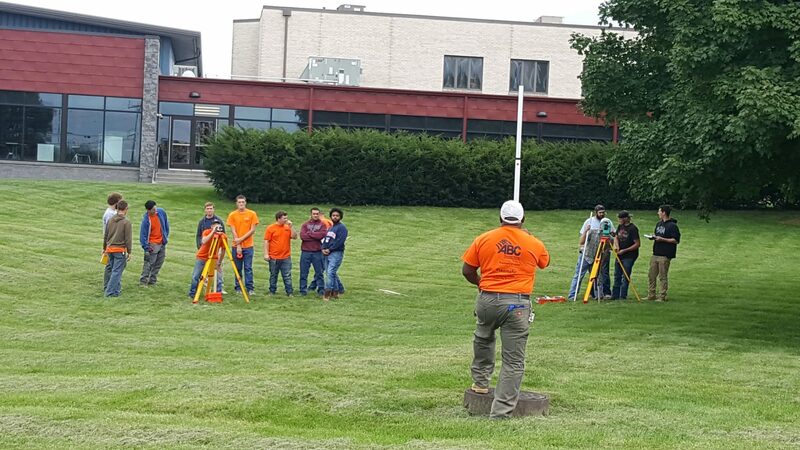 The class used an Electronic Theodolite that Warfel Construction Company provided on long-term loan. Instructor Tom Fasnacht had the class use the ABC building site plans to determination the elevation for the manhole and elevation for the finished floor of the building. They calculated the difference and then went outside and set up the interments and used Differential Leveling to see the difference in reality. The class came up with a difference of 5/8’ in what they shot compared to the site plans. These type of tools are beneficial for our apprenticeship classes to experience usage of different technology. Thank you to Warfel Construction Company for your generosity! Learn more about apprenticeship at ABC Keystone.